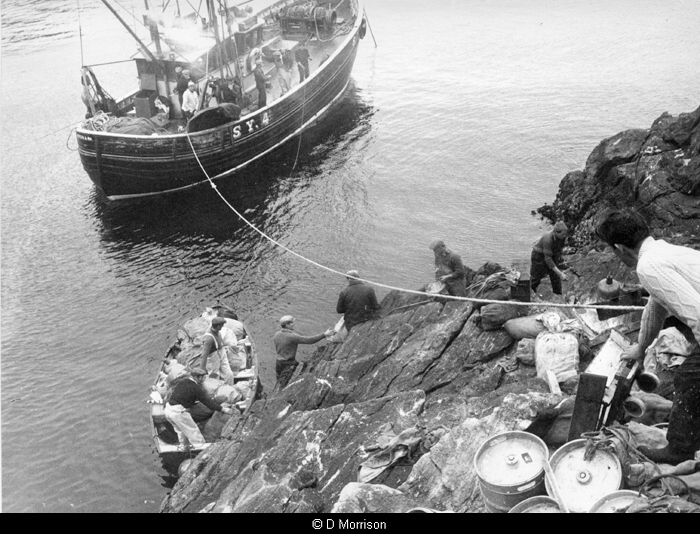 The guga hunt has been a tradition in Ness, North Lewis, since the 15th century. 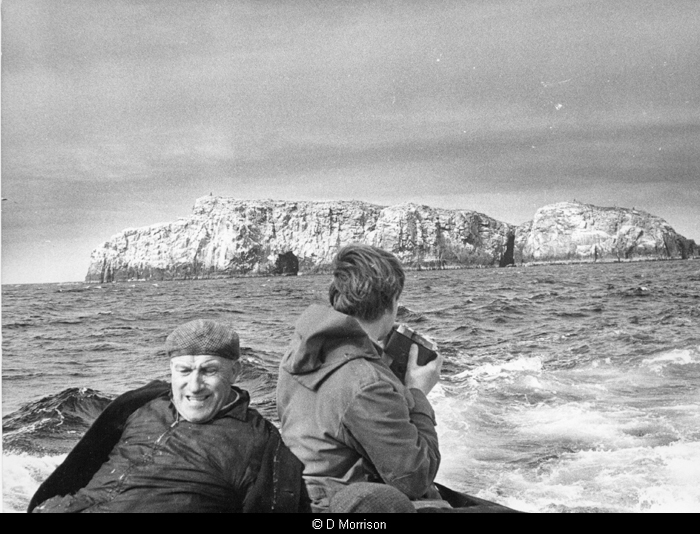 The rocky island of Sula Sgeir, 40 miles out from Ness, is home to some 10,000 breeding pairs of gannets. 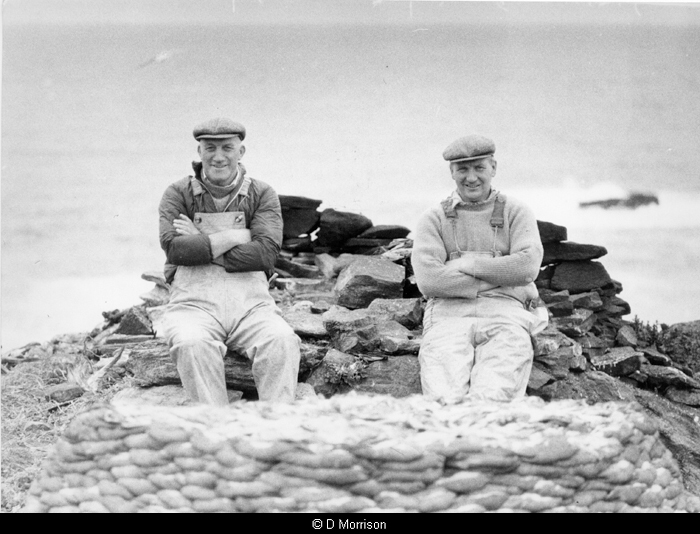 The young gannets, known locally as guga, are harvested annually in August. 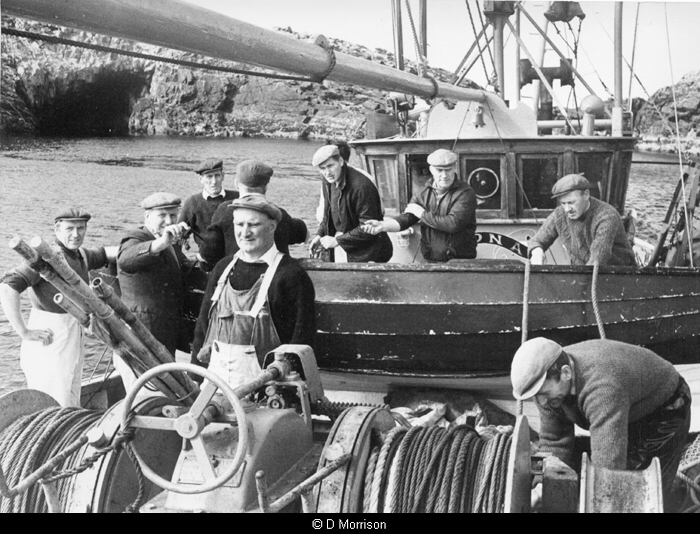 Ten men set out from Ness to spend a traditional, if hardly comfortable, fortnight on Sula Sgeir. The island is uninhabited, has no easy landing and is graced only with an early chapel and a number of rough drystone cells, where the men live. 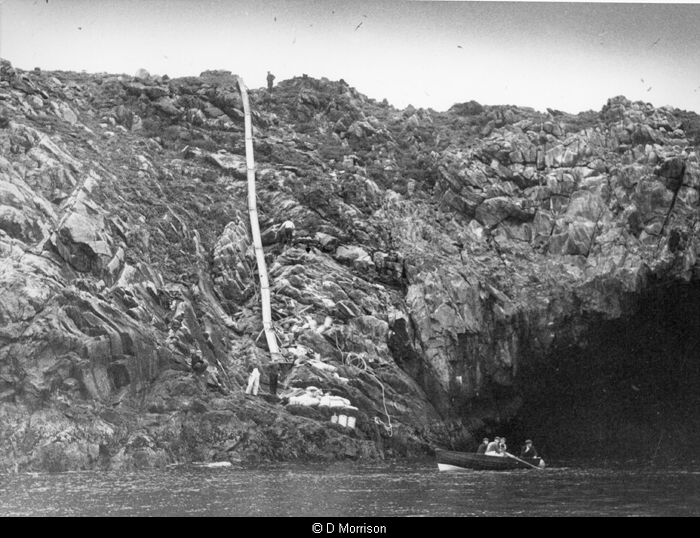 The guga are culled from open cliffs with a pole and noose, and gutted, salted and preserved in brine on the spot. 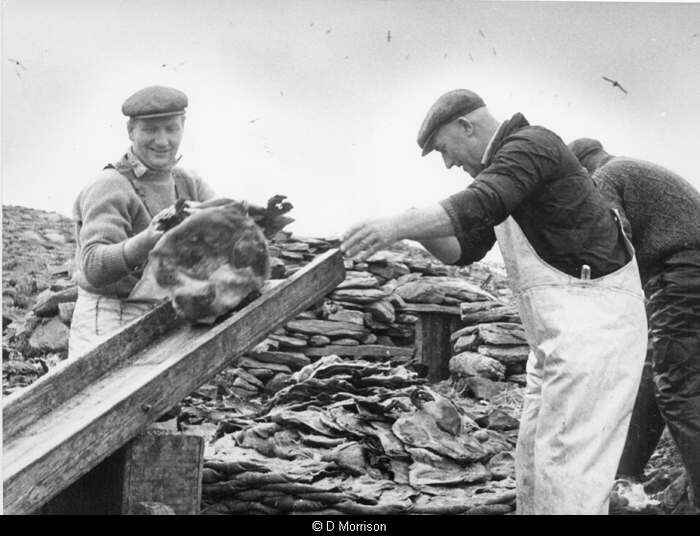 Traditionally the preserved birds formed an essential part of the winter diet for the people of Ness. 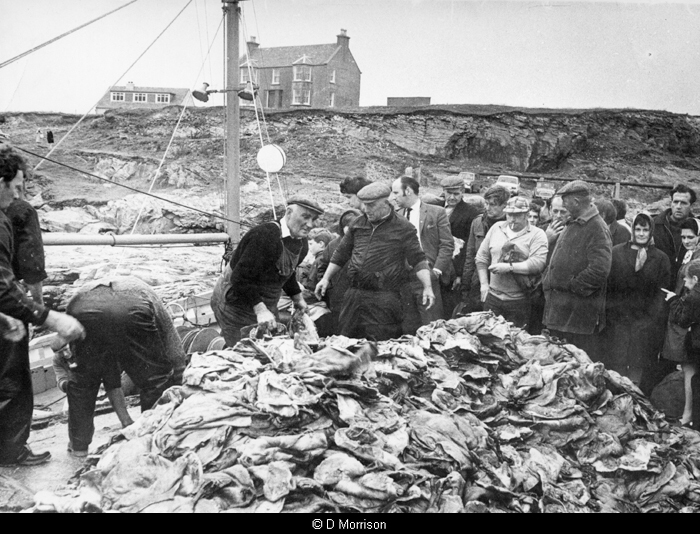 Today the birds are sold for 20 a brace on the quayside on the crew's return, a delicacy rather than a staple. The oily meat is served with potatoes and milk and is an acquired taste. 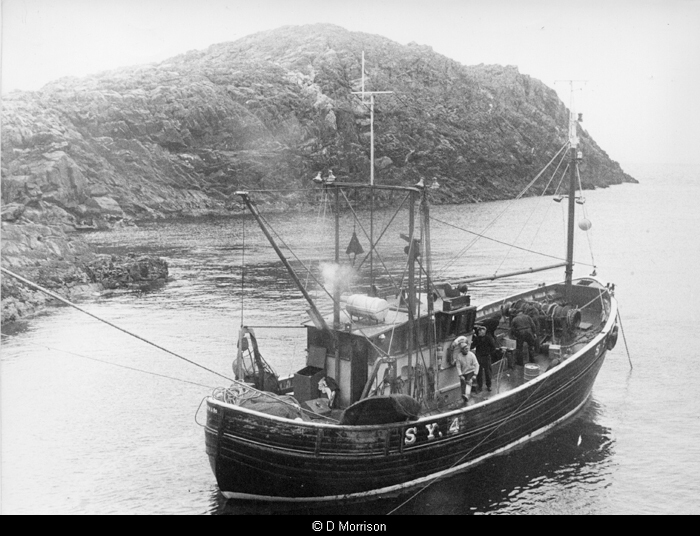 In 1912, the crew was late returning and a search party failed to find them. Some weeks later the guga hunters returned to the community, which had presumed them lost. 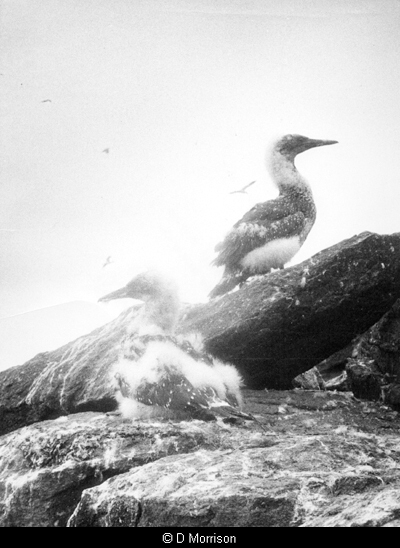 Although the killing of gannets was outlawed in 1954, the guga hunt operates under special licence and up to 2,000 birds may be taken - for food, rather than sport. Some animal rights groups object to the practice, however. 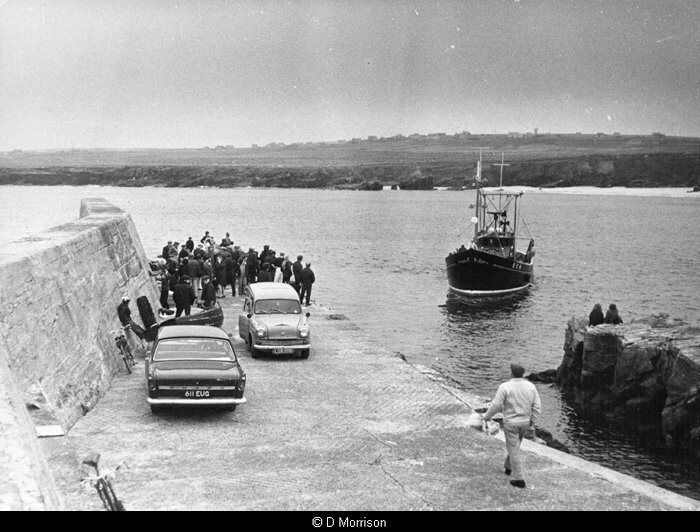 The images below were taken at the end of the 1972 hunt by Donnie Morrison.